For Fall 2015, it wasn’t enough for celebs to simply score prime front row real estate, they needed to actually be center stage taking part in the show. 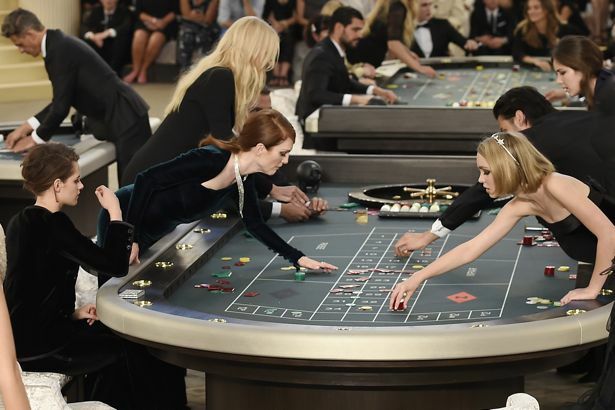 Julianne Moore, Kristen Stewart, Lily Collins, Rita Ora and others took a spin at Chanel’s couture casino. That’s right, folks. Karl Lagerfeld leveraged his bets in Paris by investing in a heap of star power. Talk about a gamble! The other couture presentations relegated their attendees to the front row, where everything from crisp suits to sparkly little dresses managed to divert heads from the runway. Check out the week’s top looks in the slideshow below.